This morning I went to Amazon to check the status of my light bulb delivery. On the front of their homepage they were advertising their new home services. For those of you who haven’t heard yet, Amazon is now selling plumbing services. Not just plumbing. They actually have rolled out a full home service department. You can get violin lessons via Amazon in your house. They are essentially selling a service online like a product. My first thought was that once again Amazon was trying to take over the world. Every couple of months they seem to roll something out that amazes me. In Miami last week they rolled out Amazon Prime Now. If you need milk, you can order it online and have it in 2 hours. This is free for Prime members. Yet another nudge for me to just bite the bullet and sign up for Prime already. I thought further about the Amazon services and realized it made perfect sense. Ecommerce and selling online doesn’t need to be limited to products. In fact, you could argue the services they are selling are products. Whats the difference? I order a TV repair guy and checkout. Next thing I know, he’s at my door. The same way the TV got there to begin with. They can sell a service online the same way they sold me the TV. So why can’t all the millions of service companies be selling online? Why don’t they have an Ecommerce store? The short answer is, they can and they should. When I started my Condominium Document online store, I hadn’t thought much about this. What I offer is actually a service. The documents that govern condominiums in Florida are actually public record. They are available to everyone through the county or through their condominium association. When you are purchasing a condo you need to review these documents. Furthermore the seller is required to provide these documents. Whether people know these are public records, or don’t care, it doesn’t much matter. They want their condo documents now. They are willing to pay for the service to have them sent to them by pdf. While they think they are purchasing a product, they are actually purchasing a service. This is a perfect example of selling a service in an online store like a product. There are tons of services like this that can be sold online. The less complicated the service is, the better. If you sell the same thing over and over, its perfect to be sold as a product. Pizza is a perfect example of this. People don’t need to call and have a whole conversation with the pizza company. 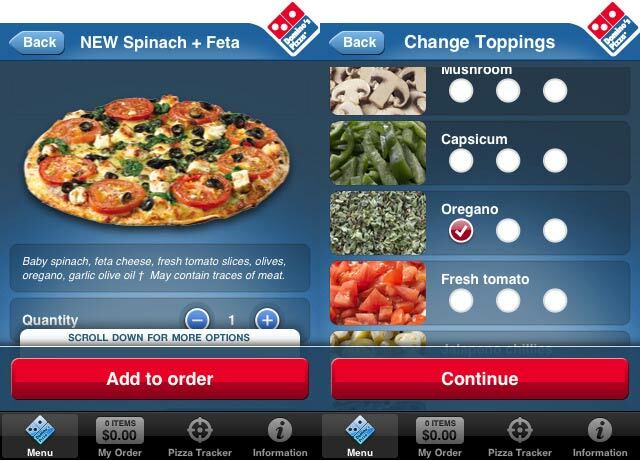 Dominoes rolled out their app to sell pizza online and increased sales by 18% in 13 weeks. They now say that a third of their sales are placed online. Pizza delivery is now a service sold online. Legal services can be complicated but not all the time. Why do you need a formal consultation to handle basic legal work. You can now perform a trademark search, incorporate a business, and create legal documents instantly. You are buying the product. If you trust the service provider, you should be able to buy their service like a product. Legal Zoom does this well and sells you legal services as a product. I created my first will through Legal Zoom online. Legal Zoom selling their services online like a product. Bob and I have often thought about gardening. The lawn business is as routine and simple as you get. Why couldn’t this be sold online as a product. Gardening could be offered as a recurring subscription with everything handled online. Pick a plan and checkout. Enter your credit card information and you’re good to go. Why aren’t all gardeners doing this? What about snow blowing? These are perfect service as product options. 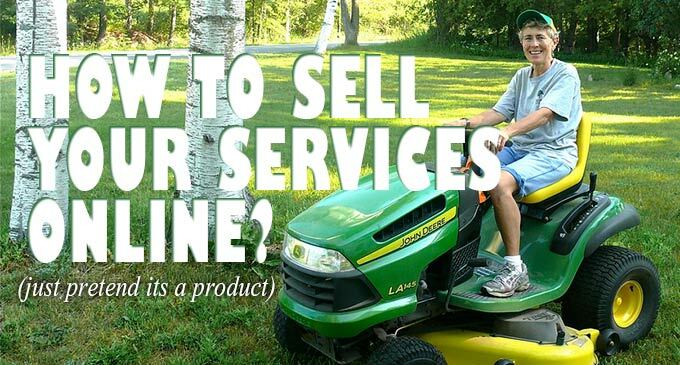 So if you currently run a service business and don’t think there is a way to sell your services online, you are probably mistaken. Rethink your service and see how you can sell it as a product. As more and more people become comfortable shopping online, they want solutions. 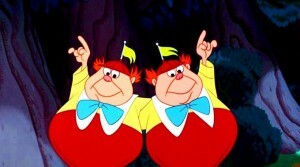 They don’t want to necessarily chit, chat. Sell them your service as a product or someone else will. Not sure where to start? Start your online business with our sample checklist. Are You Ready To Start Your Own Online Business? 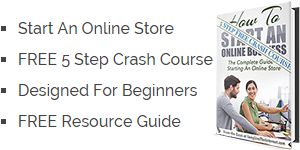 Sign up now to receive our 5 Step FREE Crash Course to starting your own online store. Learn the tricks we have used with clients for years. Get started building your future now. Is SEO for Ecommerce Dead? Long Live The Internet Copyright © 2019.